Way back in 1998, developer Epic Games took the technology behind its hit PC first-person shooter “Unreal” and released it as the first version of the Unreal Engine. Nowadays, Epic Games is best known as the proprietor of the smash-hit “Fortnite,” the most popular game in the world, with some 250 million players. Less visibly, the Unreal Engine has grown over the years to become the foundation for blockbuster games including “Kingdom Hearts 3,” the forthcoming “Mortal Kombat 11,” and, naturally, “Fortnite” itself. Epic says that 7.5 million developers are using Unreal Engine today. 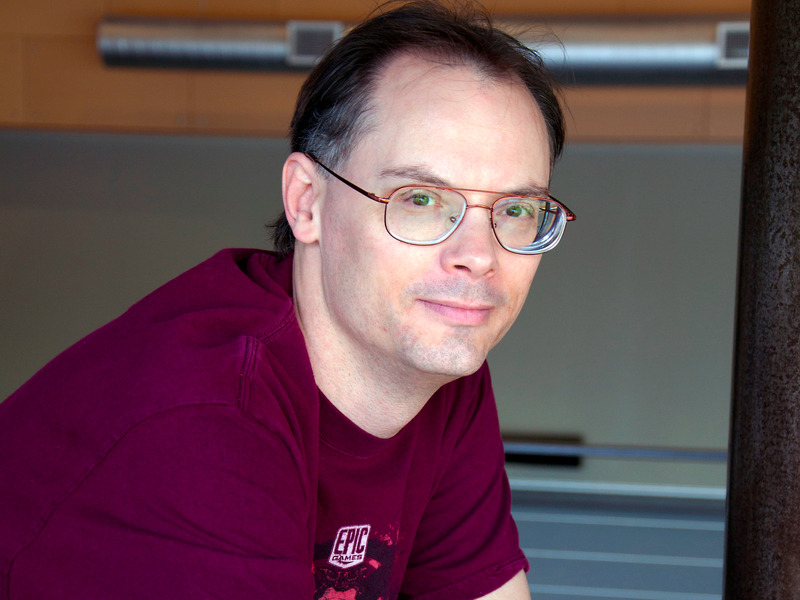 Now, Epic Games is putting the pieces in place to bring these two worlds closer together, CEO Tim Sweeney told Business Insider in a conversation at the Game Developers Conference earlier in March. Ultimately, he says, this plan stands to take “Fortnite” beyond its roots, and make it a true online world. The big idea, says Sweeney, is that Epic views “Fortnite” as sort of the ultimate expression of what the Unreal Engine is capable of — its graphics and cross-platform support, sure, but also its ability to support large-scale online events like the massively popular Marshmello concert, which attracted 10 million players. On the other side of the coin, Sweeney says that “Fortnite’s” Creative mode— where players work together to build, rather than battle — has attracted 100 million players since it launched in December. Sweeney says that he sees this Creative mode as an extension of the Unreal Engine; a version that’s “super easy to use” for all players. The ultimate goal, says Sweeney, is to establish a “continuum” between “Fortnite” and the Unreal Engine, to ease the transition from playing “Fortnite,” to building in “Fortnite,” to developing advanced content with the Unreal Engine. Creative mode lets “Fortnite” players team up to build, not battle. The ultimate goal, says Sweeney, is to build “something like the Metaverse” — the idea for a “collective virtual shared space,” as Wikipedia puts it, popularized in science fiction novels like Neal Stephenson’s “Snow Crash” and Ernest Cline’s “Ready Player One.” Indeed, “Fortnite” has been likened to a social network unto itself, as a place for kids especially to hang out online. Read more:The CEO behind ‘Fortnite’ used to be one of Microsoft’s fiercest critics. Now, he explains why he thinks it’s a ‘new company’ under CEO Satya Nadella. It should be noted that Epic isn’t the only one trying to build the Metaverse: Roblox, the massively popular online gaming platform, has a similar line of thinking around combining gameplay with creative tools to make something bigger. Facebook’s Oculus VR unit, too, has ambitions around building social, virtual worlds. Sweeney says that Epic has a responsibility to “maintain a great experience” and “set the tone” for players as it gradually broadens its scope, but that the committed “Fortnite” player base forms a strong foundation from which to build. The scooters wars are coming to Europe this summer. But first they have to prove they’re not like Uber.